Team Grizzinator - Hunt with the best, Hunt with a company you can trust! We deeply value our State, Federal and Corporate Relationships! Grizzinator is your one stop shop for the best equipment, gear, and hunting adventures that the Outdoor industry has to offer. 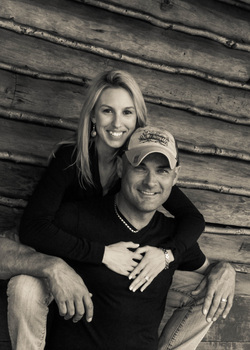 Grizzinator is family owned and operated by Greg and Jana Jennen. Greg and Jana's avid love for the Outdoors and their extensive experience in the Outdoor industry led them to develop the company Grizziantor. Grizzinator offers everything from the greatest Alaskan adventures to the most supreme Guns and ammunition on the market. 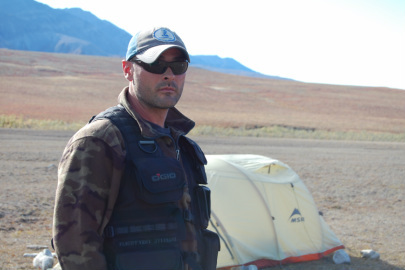 Customers can be confident that everything advertised on Grizzinator has been tested in the most extreme conditions that Alaska has to offer by Greg and Jana. to make sure everything runs smoothly and is pulled off without a hitch. Outdoors. I love all that Alaska has to offer!! Brooks is a bear tracking machine! 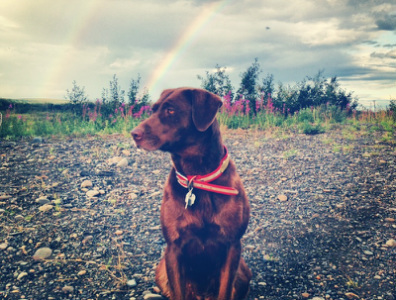 She loves to go along for a boat ride, a flight in the planes, pack on sheep or goat hunt, and lives to track bears. Brooks is not just a family member but she is also a member of the grizzinator team. whether chasing after a stick or packing out meat, brooks gives it her all! Chena is the new kid on the block. this was her first year attending hunts, and she has quickly grown to love hunting. 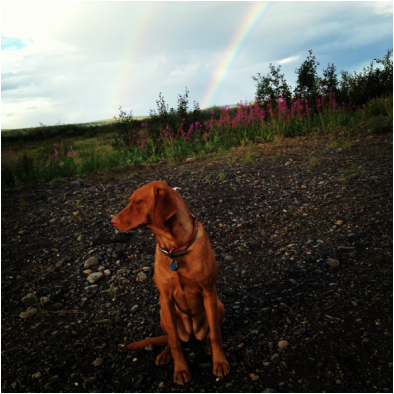 Birds strike her attention often, but Chena's main desire is to please the people around her. Chena spends the majority of her time harassing brooks! We are sure that with further training Chena will be able to grow in her hunting, packing, and tracking abilities. She is sure to when over your heart!